Reserve seats in a Project Social. 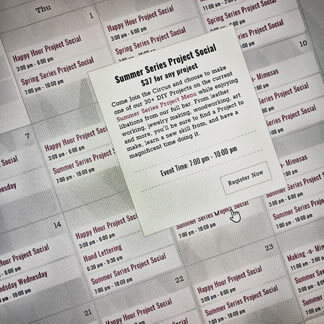 Simply visit our calendar page, select a Project Social date & time that works for you & reserve your spot! For large groups, see our Groups & Events page. 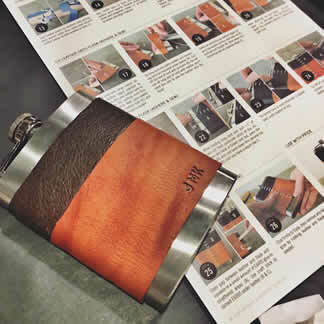 Project Socials are regularly scheduled times when patrons gather together and make a variety of DIY Projects- from leather working to jewelry making and more- with friends & strangers alike. Pick a project to make- any project- from the 25+ options on our Project Menu. Each Circus-er (that’s you!) can choose whichever project you like, regardless of your parties’ project choices. Sah-weet! We give you the time, supplies, tools, tutorial & inspiration to make a masterpiece. Work at your own pace, enlisting our Creative Assistants for project tips, advice or help (or another cocktail) as needed! 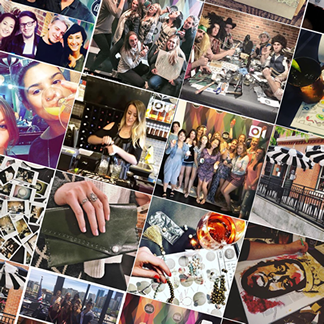 Have a glorious time & while you do, share your fine, fine craftsmanship on social media using #upstairscircusatx; you’ll give others serious inspo- you artist, you! Follow us for deals, project inspiration & more! You. Your Friends. Your Family. Your Date. You’re each your own individuals, so each of you can make whichever project YOU want. 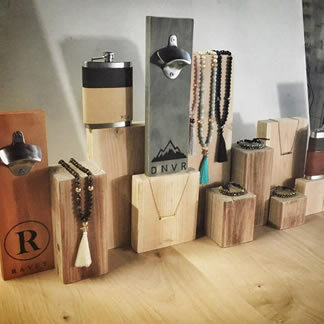 Celebrate individuality, creativity and ingenuity- together. 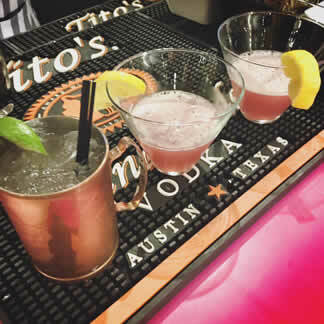 YOUR CREATIONS ARE UNIQUE; YOUR LIBATIONS SHOULD BE TOO. Our Bar Menu features locally created and curated specialty drinks, wine and brews, turned into sensational circus-y concoctions. Looking for food? 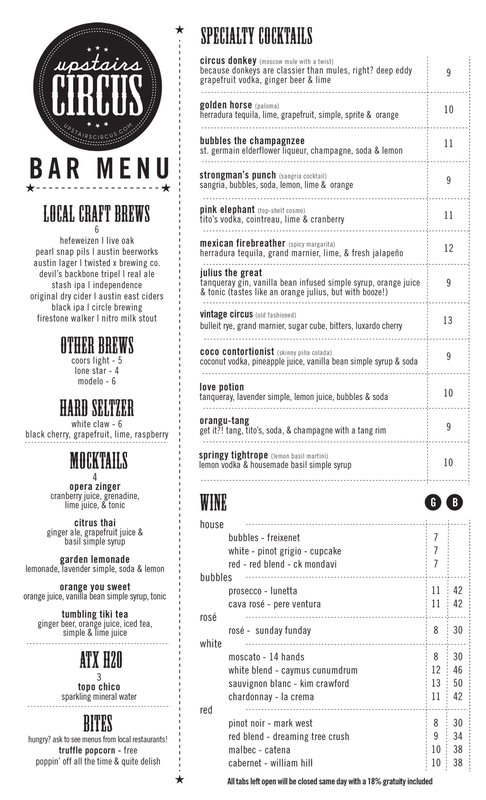 We don’t serve food at Upstairs Circus ATX (aside from our popcorn), as an alternative, you may bring food into Upstairs Circus- brown bag it, make it, cater or order it in from one of our 2nd Street District restaurants (we keep menus behind the bar!). See our FAQ on food & drink for more. 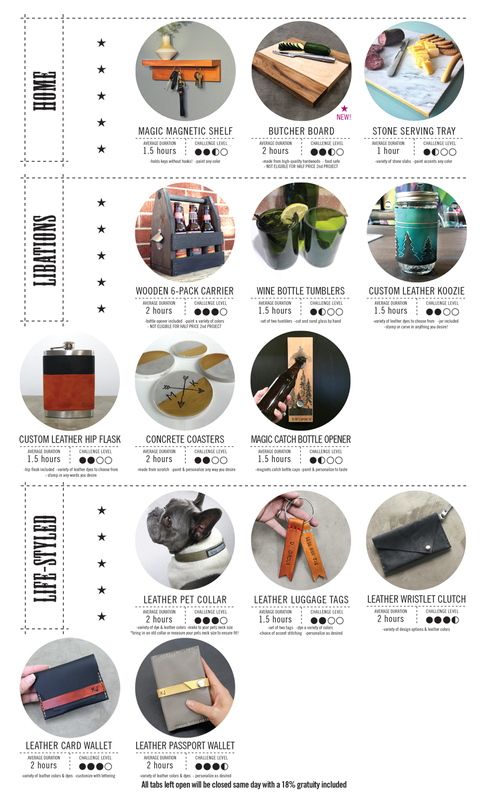 ENJOY A CRAFTERNOON DELIGHT WITH US. THE HAPPIEST OF HOURS. $28 PROJECTS ($10 OFF). DRINK SPECIALS. DELIGHTFULLY GOOD TIMES. 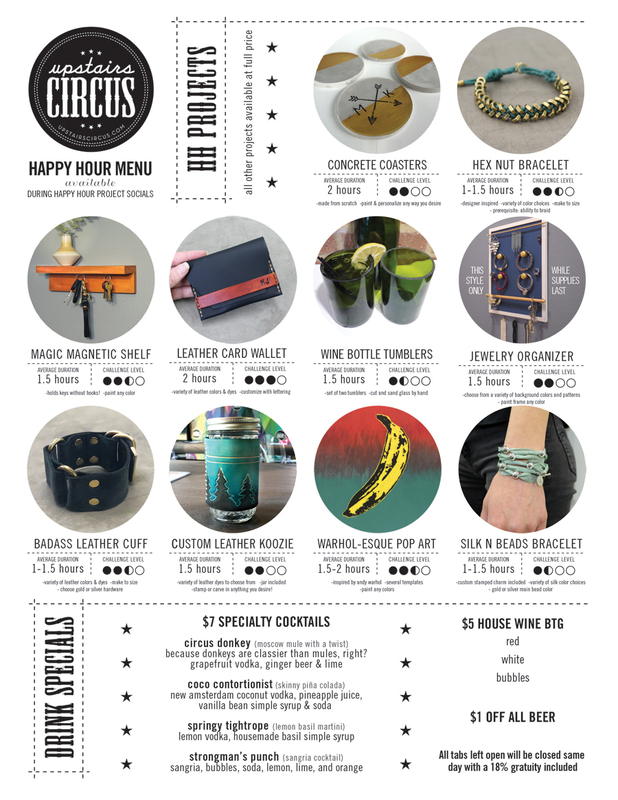 Join Upstairs Circus ATX for a Happy Hour Project Social Tuesday thru Friday 3:00-6:00pm. Make reservations now! Let’s party together! 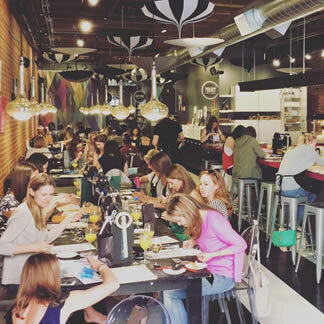 From Corporate Team Building Events to Bachelorette/ Bachelor Parties, we’ve got a whimsical, flexible event space available for use that’s ready to host you! Join the Circus for Friendsday Wednesday! 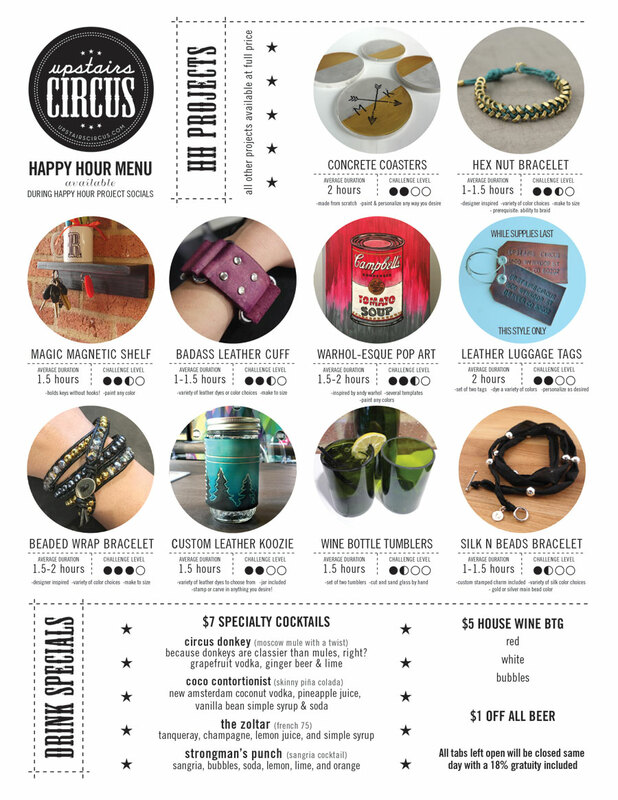 Join Upstairs Circus ATX with a bestie (or ten) for marvelous creations- and half off bottles of wine– every Wednesday! 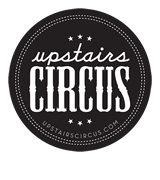 Visit our FAQs page- specific to Upstairs Circus ATX- to get your questions answered! Still have questions? By all means, contact us! Be Part of the In Crowd. 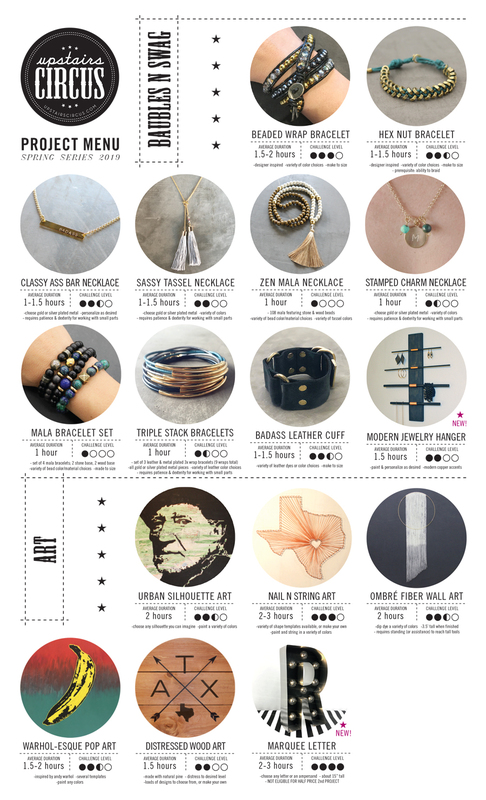 Get the latest news, project offerings, e-deals, event invites & more simply by signing up for the Upstairs Circus ATX eNewsletter. © Big Top Holdings LLC dba Upstairs Circus 2019. All Rights Reserved. SEND UPSTAIRS CIRCUS ATX AN EMAIL!